The representation of the solution on the number line, when given equation is treated as an equation in one variable. The representation of the solution on the number line. when given equation is treated as an equation in one variable. 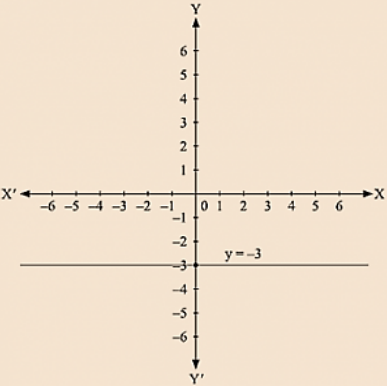 The representation of the solution on the Cartesian plane, it is a line parallel to y axis passing through the point (-13/2, 0) is shown below. 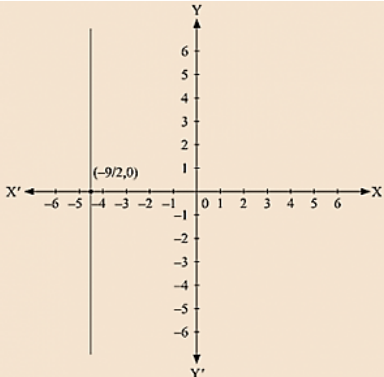 (i) We are given the co-ordinates of the Cartesian plane at (0, 3). independent of x containing y equal to 3. 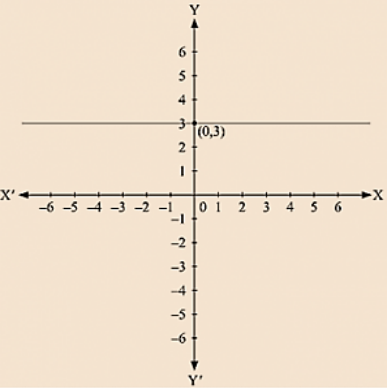 (ii) We are given the co-ordinates of the Cartesian plane at (0,- 4). Independent of x containing y equal to - 4. 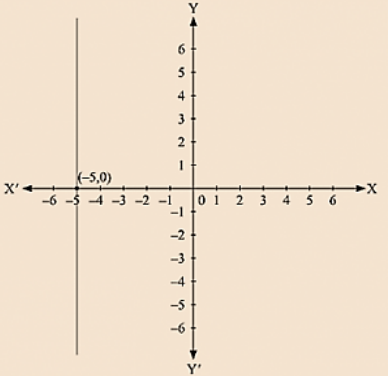 (iii) We are given the co-ordinates of the Cartesian plane at (2, – 5). 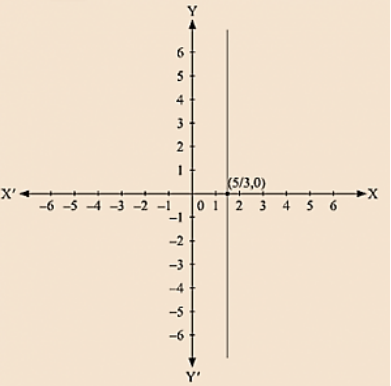 independent of x containing y equal to - 5. 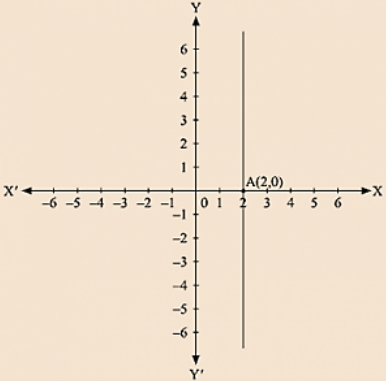 (iv) We are given the co-ordinates of the Cartesian plane at (3, 4). independent of x containing y equal to 4.